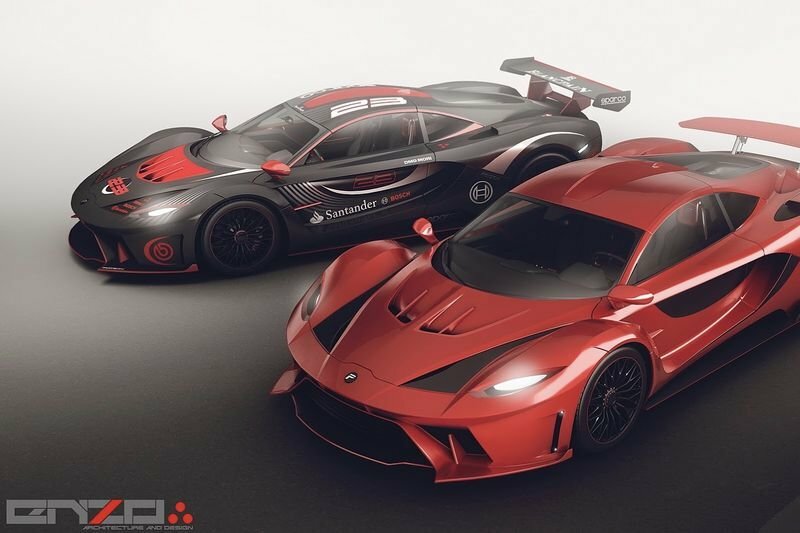 There is not much info about the design of the supercar, but what we do know is that somebody needs to render it in Forza or GTA V so we can drive it already. The Poison concept is a supercar/race car duo, much like Ford does it with the street-focused GT and the LeMans winning racer. There is plenty of detailed elements on the bodywork, from the wide fender and muscular stance, all the way through to the sleek profile. The designer behind the rendered Poison design is Encho Enchev. The branding on the supercar seems appropriate, the logo is quite sharp, as are the details of the aggressive headlights, spoiler-based daytime running lights or the 'Ferrari F12tdf-like taillights. The interior of the Poison concepts seems like it has everything you need in order to get in and start driving like your pants are on fire; featuring sports seats, racing harnesses, paddle shifters and a multifunctional steering wheel.